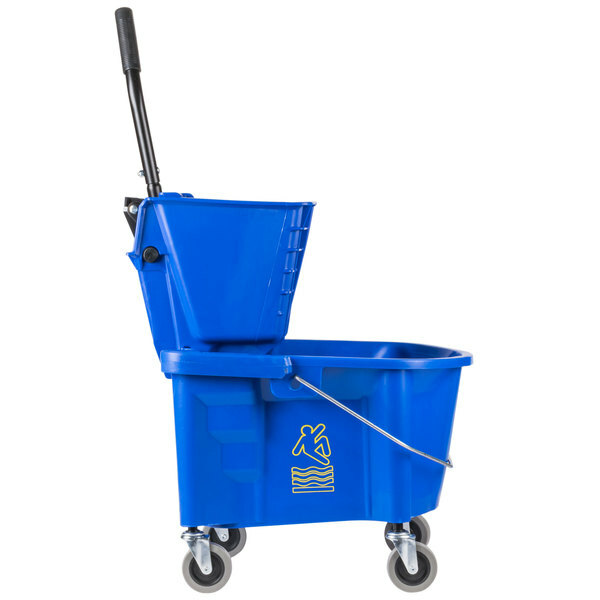 The Continental 226-312BL 26 qt. 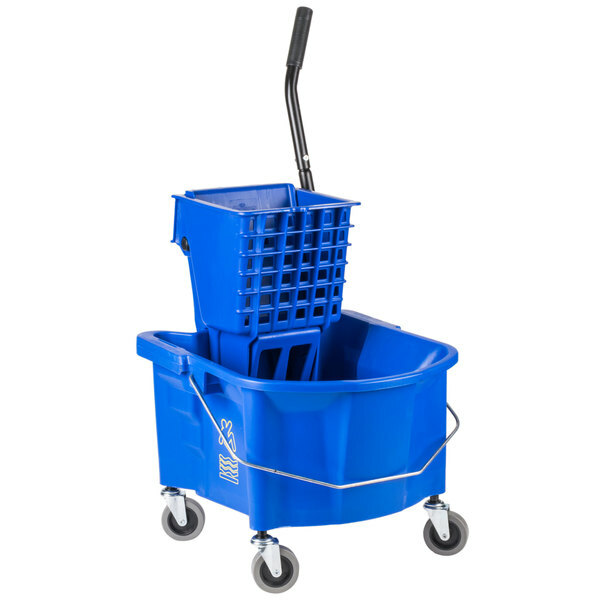 blue mop bucket and wringer combo makes mopping a breeze with an easy-to-use design that includes an oval bucket and nested, side-press wringer. 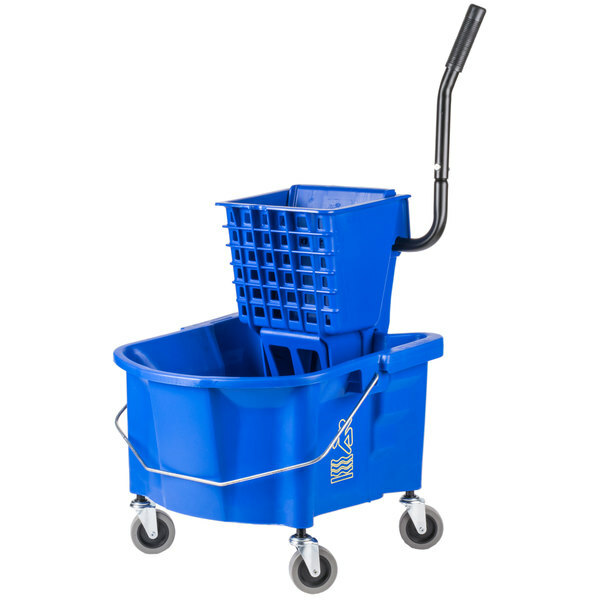 The bold blue color makes it easy to designate different buckets to certain rooms or purposes, preventing cross-contamination and making it ideal for any floor cleaning need. 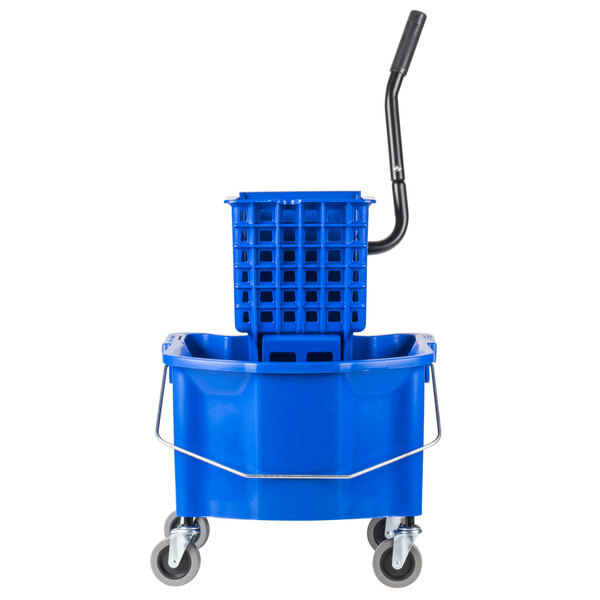 This mop bucket and wringer combo is coated with a smooth, Derma-Tek™ finish which adds strength and makes it seamless, easy to clean, and ideal for high-volume, everyday use. 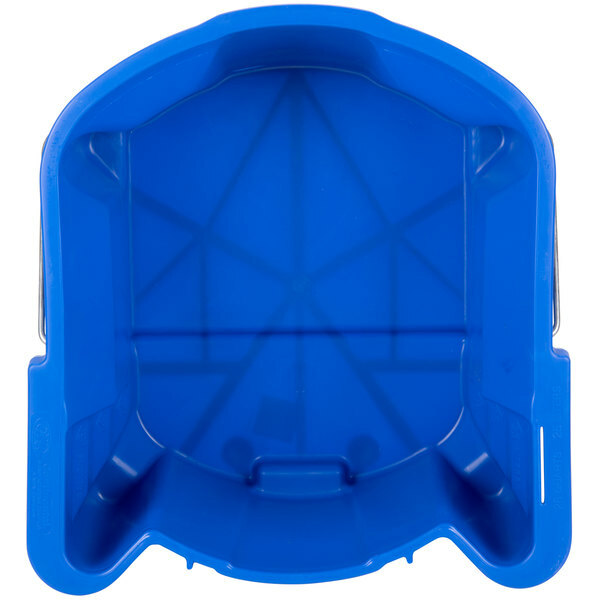 The non-porous construction is also resistant to chemical, liquid, and odor absorption as well as rust, chips, or dents. 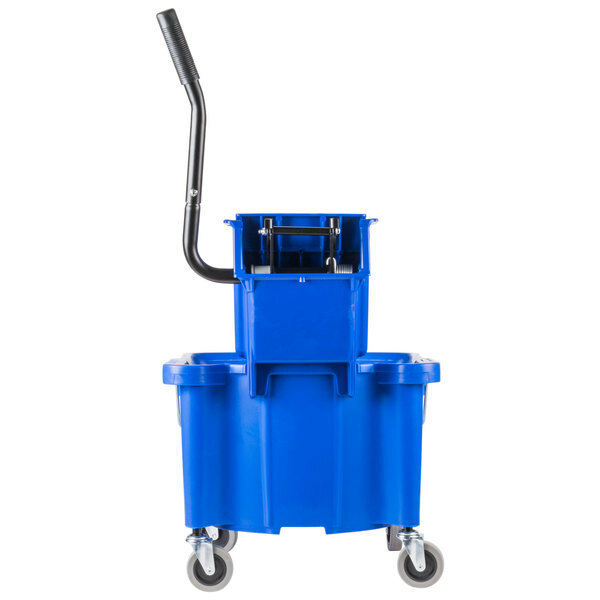 Continental's patented Splash Guard™ technology helps keep water in the bucket and off the floor, and its 3" non-marking casters keep the durable, polypropylene unit mobile without sullying cleaned areas. 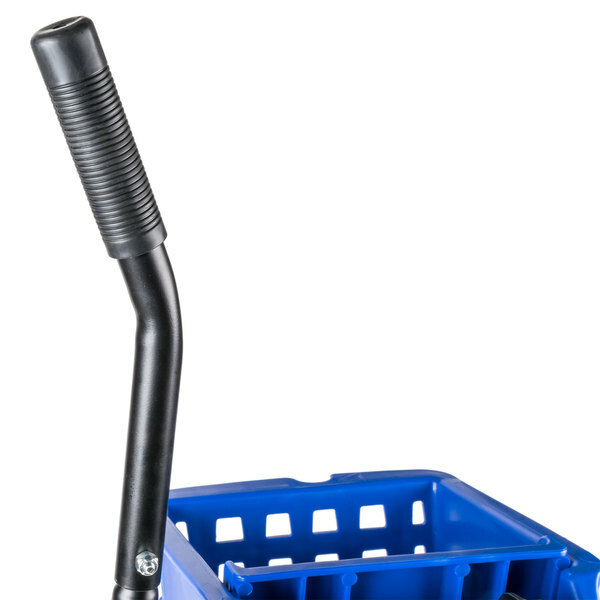 Featuring an ergonomic handle for leverage and comfort, the added SW12 side-press wringer can accommodate 12-32 oz. 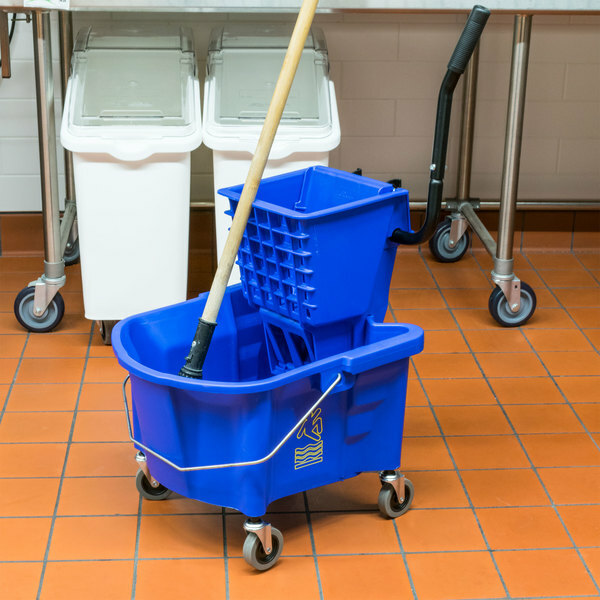 mop heads and rests within the bucket for space-saving, compact storage. 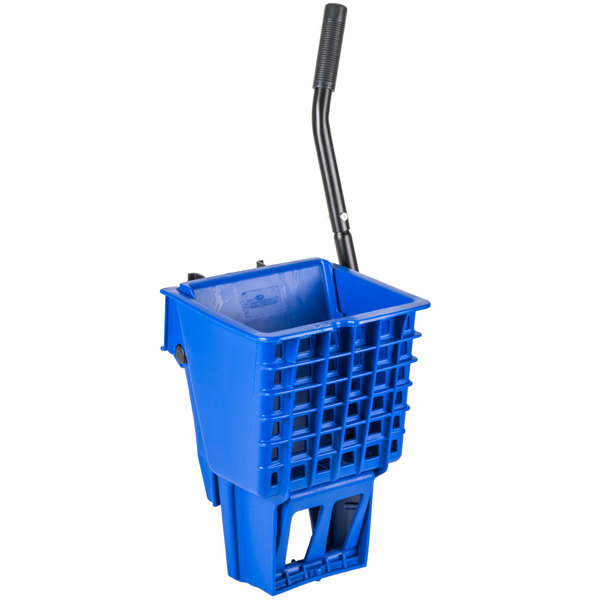 In addition, the wringer and mop bucket combo is marked with an international caution symbol to easily communicate safety precautions, as well as molded steps that are internally marked with measurement lines. 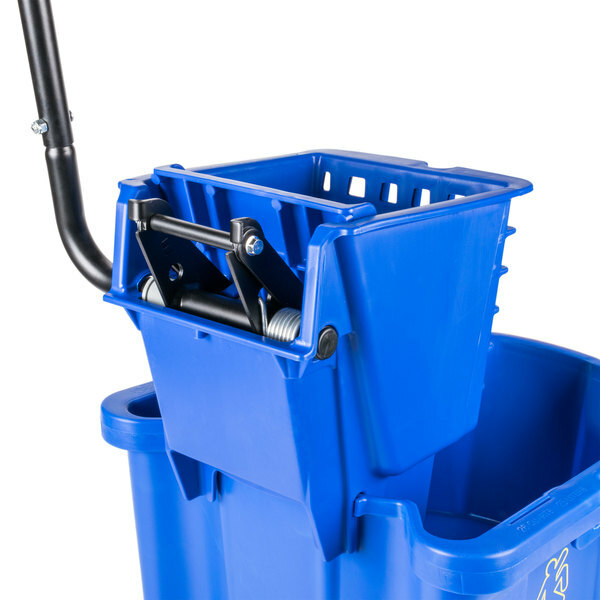 Top of Handle Height: 37"
Top of Wringer Height: 23 1/2"
This item is much cheaper than its Rubbermaid counterpart and does exactly the same thing. 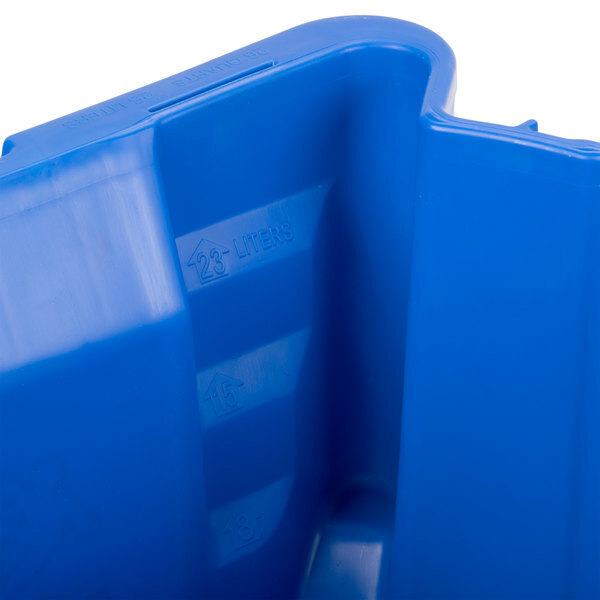 It's sturdy and we've never had a problem with it. 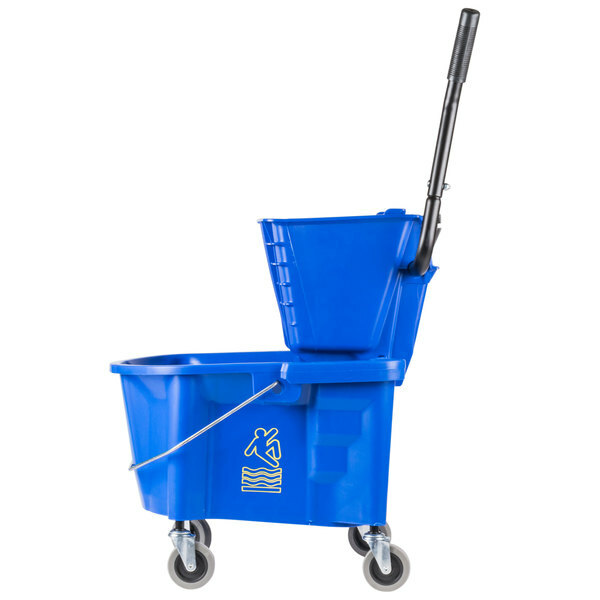 This is a great mop bucket for places that don't have a lot of storage room. 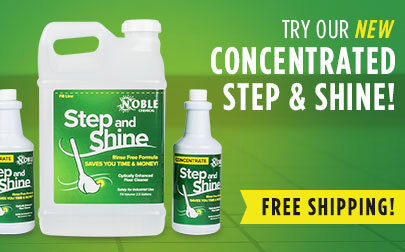 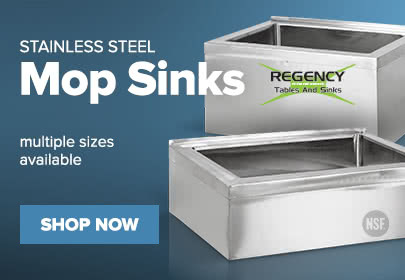 It's also great for fitting in skinnier doorways and getting around counters.